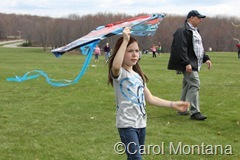 LOCH SHELDRAKE, NY (April 22, 2015) – SUNY Sullivan will host its 25th Annual Kite Festival on Saturday, May 2 from 10 a.m. – 4 p.m. on the campus green. This free festival, which will be held rain or shine, is sponsored by SUNY Sullivan in conjunction with Jeff Bank, Thunder 102, the Sullivan County Visitors Association and WSUL/WVOS Radio. 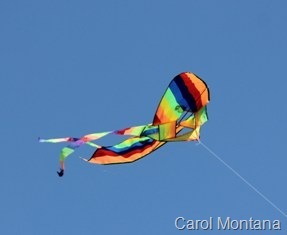 This year’s festival will include kite flying demonstrations along with food by the Loch Sheldrake Fire Department, barbeque by Hog Heaven, Italian ices, cotton candy and more. The day will also feature live music by Cathy Paty. 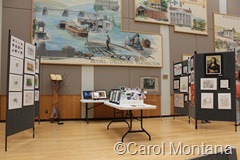 Local service organizations and vendors selling arts and crafts, and jewelry and other items will be on-hand. Free kites will be distributed to the first 200 children. In addition to the kite festival, other events on campus that day include the annual Fisher Film Festival (in the Seelig Theatre), and the student/faculty art show, presented in the deHoyos Gallery and featuring submissions from SUNY Sullivan students and faculty. The Simulation and Gaming Development program will also host one of its popular “Game Jam” sessions from 9 am to 6 pm; registration is required, please visit www.sunysullivan.edu/game-jam. New this year is “Discover SUNY Sullivan,” an opportunity for students who have been accepted to or are interested in applying to the college to visit the campus for a financial aid workshop, meet with faculty to learn more about the college’s academic programs, and enjoy the Kite Festival! Registration is required, please visit www.sunysullivan.edu/discover-sullivan or call the Admissions office at 845-434-5750, ext. 4287. For more information about the kite festival and related weekend activities, please contact the Office of Special Events and Campus Activities at 845-434-5750 extension 4377.